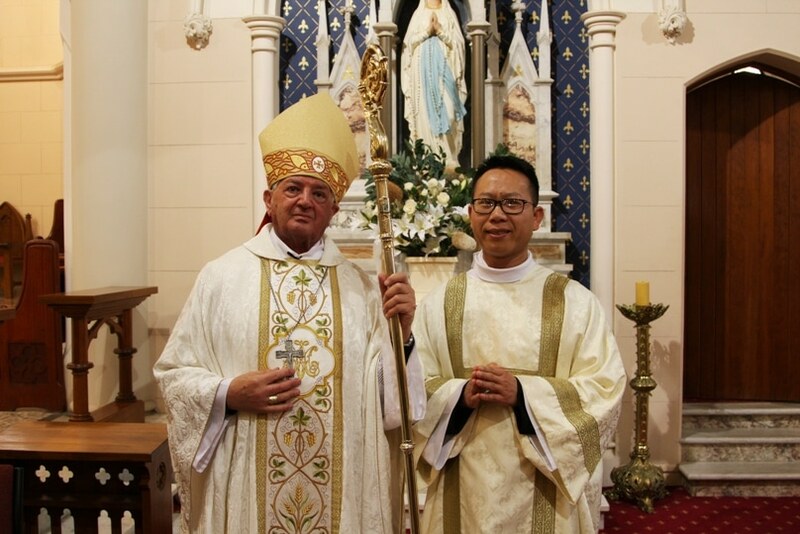 A Vietnamese-born seminarian who visited Sydney for World Youth Day 2008 and later transferred to study for the priesthood in Australia has been ordained to the diaconate. Paul Phu Van Lu was born near the Vietnamese city of Hue, one of seven children. He said that he owes his priestly vocation, after the grace of God, to the devout Catholic faith instilled in his family by his parents. There is a family strong tradition of religious life, with two of Paul’s sisters and one aunt professed nuns. 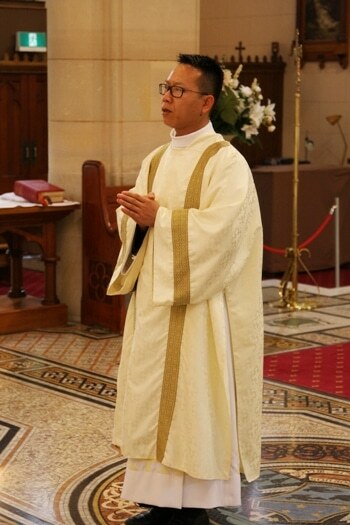 His uncle, Fr Joseph Nguyen is assistant priest of St Paul’s parish, Camden. Paul obtained Bachelor degrees in both English and French literature before entering the major seminary at Hue in 2004. He completed his studies in philosophy in 2007 and did a year’s pastoral placement in the parish of Ha Uc. In 2008, after attending WYD08 in Sydney, Paul spent time with members of his family living in Australia. They persuaded him to transfer to the archdiocese of Melbourne where he studied at Corpus Christi seminary from 2010 to 2013, which included placements in Fawkner and Mill Pond. In 2014 Paul transferred to the diocese of Wagga and to Vianney College. He has done pastoral placements at Griffith, Albury and Leeton parishes, and in 2015 completed a clinical pastoral education program at Wagga Wagga Base Hospital. The Bishop of Wagga Wagga, Bishop Gerard Hanna, ordained Paul to the Order of Deacons at St Michael’s Cathedral on 20 August. Paul was supported by a large number of the Vietnamese community, including two siblings, as well as his fellow seminarians, diocesan and visiting clergy, and many parishioners. As a deacon, Paul will continue his studies at Vianney College while becoming more involved in the pastoral work of the diocese. It is expected that he will be ordained a priest for the diocese of Wagga Wagga in the latter part of 2017.